Another illegal structure at Ħal Farrug a replica of the de Redin tower built by the Knights. One of the illegal buildings served with an enforcement notice in 2008. 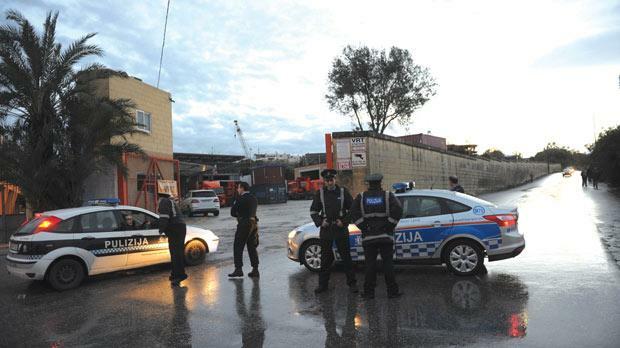 The planning authority, accompanied by armed police, yesterday swooped on several illegal structures at Ħal-Farruġ – owned by construction magnate Charles Polidano – but was stopped by a court after only managing to demolish a concrete store. The Malta Environment and Planning Authority estimates that illegal construction work in the area owned by iċ-Ċaqnu covers around 64,000 square metres of land. It is all served by enforcement notices, Mepa chief executive Johann Buttigieg told Times of Malta. Many of the notices have been in force for years. 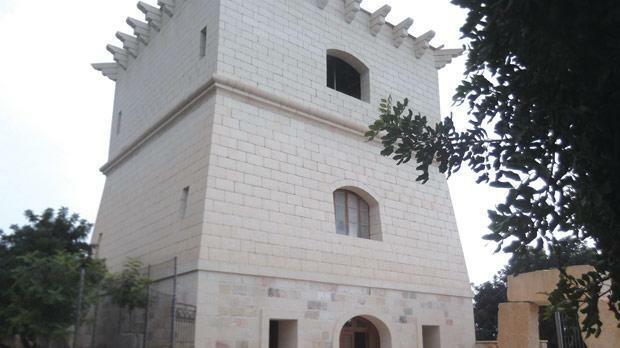 Among the illegal structures targeted by Mepa are a replica of a Knights’ tower, a classical-style building and a four-storey edifice with a pool being used as a cafeteria. It was at around 4pm when the direct action operation was set in motion after Mepa officials three times this week went on site to order Mr Polidano to stop the illegal developments. The operation was coordinated by Mr Buttigieg, Armed Forces Deputy Commander Jeffrey Curmi, Police Commissioner Peter Paul Zammit and Director General of Public Works Ray Farrugia. Along with a heavy police presence, Mepa officers arrived on site only to find the entrance blocked by Polidano Brothers’ heavy vehicles. Access was cleared by police officers. The police, some of them armed with automatic weapons, blocked all access to the site “for safety reasons”, according to Mr Buttigieg. 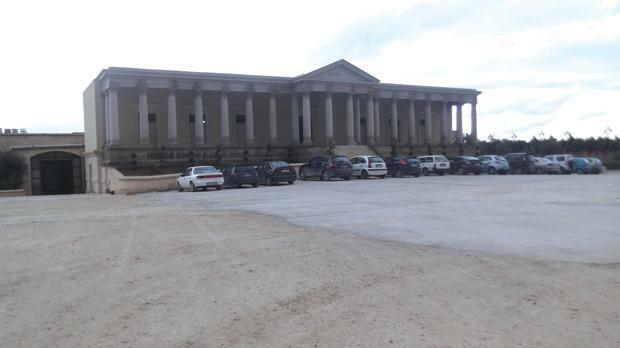 The court injunction was granted at the request of Polidano Brothers but only after the planning authority managed to dismantle a large concrete structure which was soon to be roofed and used as a store. Mr Buttigieg insisted that the direct action and Saturday’s protest by environment groups over illegal and excessive development was simply “a coincidence”. Mr Buttigieg said Mepa is due to file an application in court asking it to order Polidano Brothers to stop any further development on the site, at least until the case is heard in mid-December. He argued that according to the Mepa Act, no court or tribunal could stop the authority from carrying out what it is legally entitled to do. Mr Buttigieg said there had been discussions between him and Mr Polidano on the illegalities but despite the talks, development had continued. Polidano Brothers’ lawyer Jean Paul Sammut said the Mepa action was intended to remove concrete blocks and a boundary wall erected in fields owned by the construction company, located behind the Montekristo estate. The government last night said that abuse could not be tolerated and that it would continue to insist on the removal of the illegal structures.